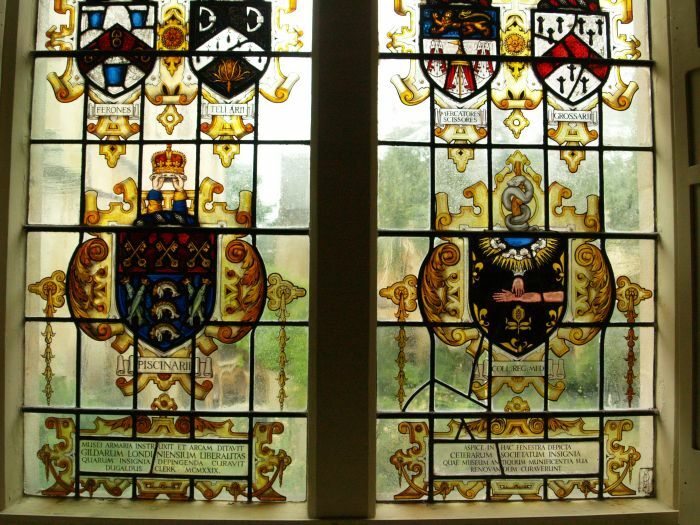 History of Science Museum, Oxford: The entrance to the Museum of the History of Science which was the original museum in Oxford completed in 1683 i.e. 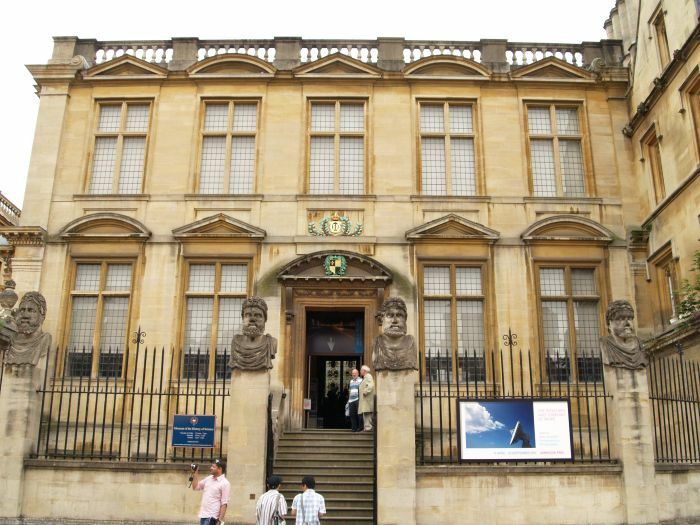 it is the 'Old Ashmolean' on Broad Street. 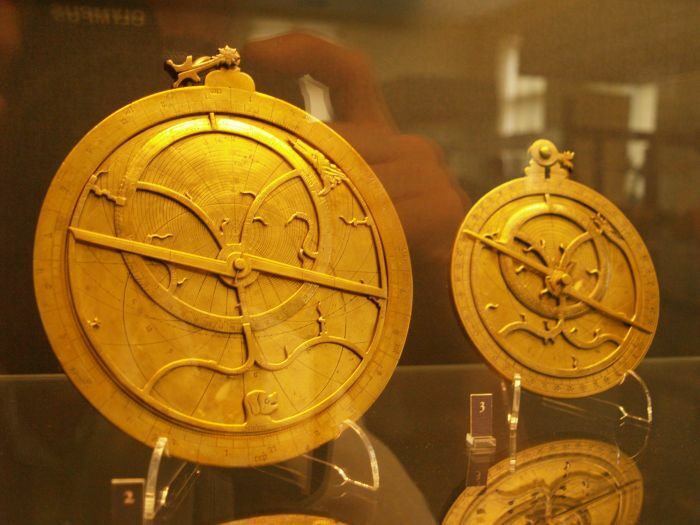 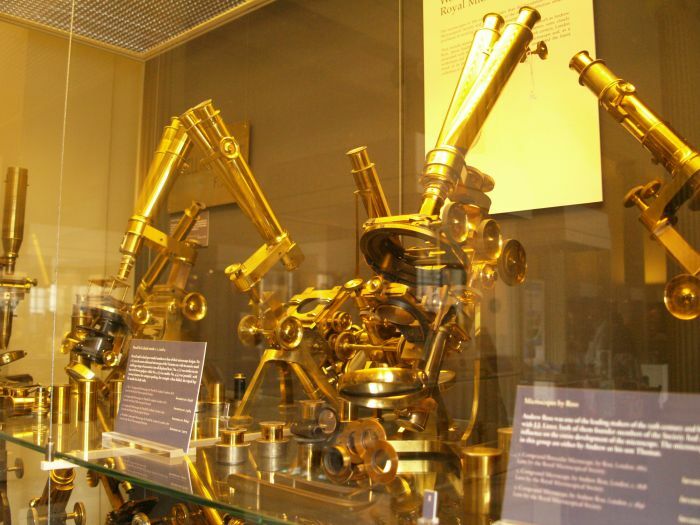 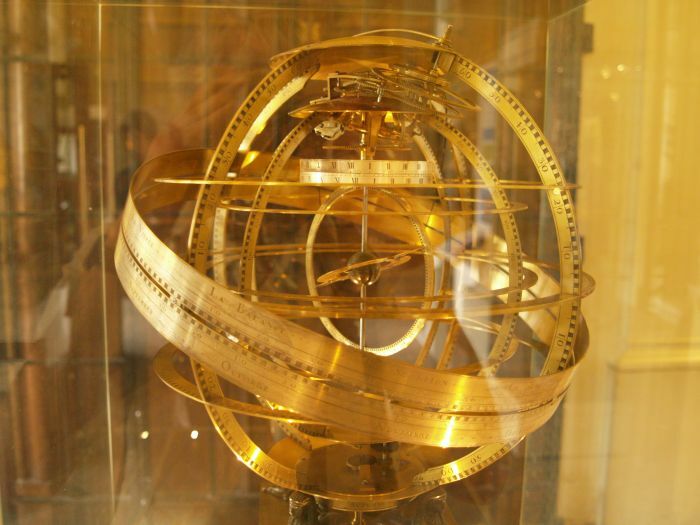 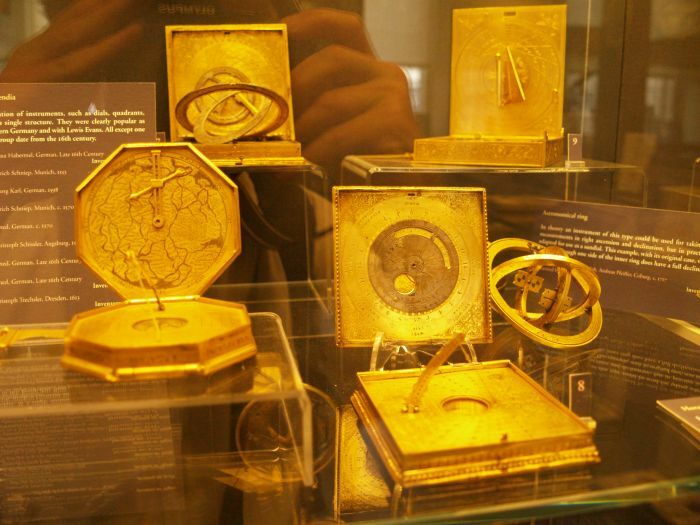 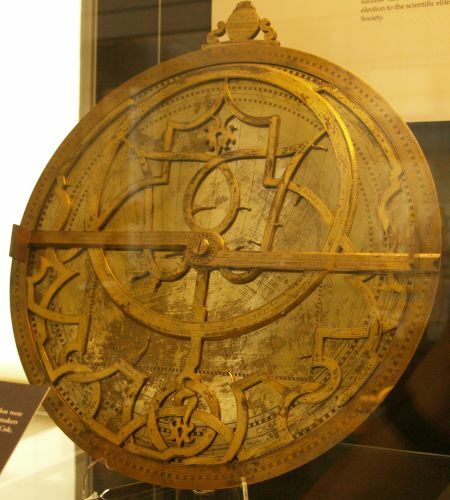 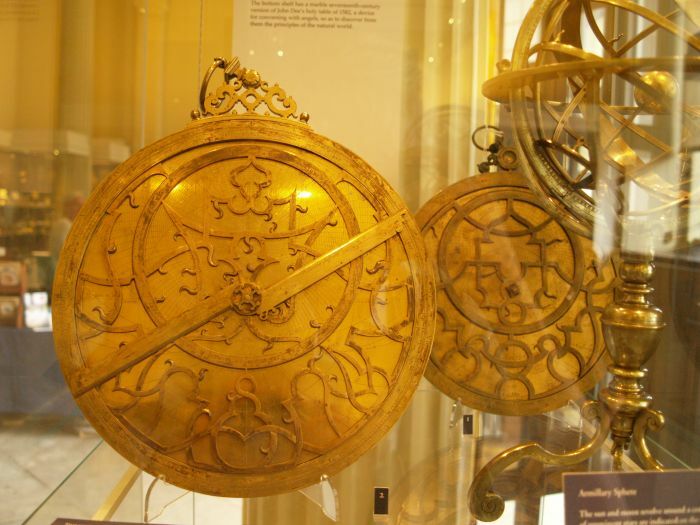 History of Science Museum, Oxford: The history of microscopes. 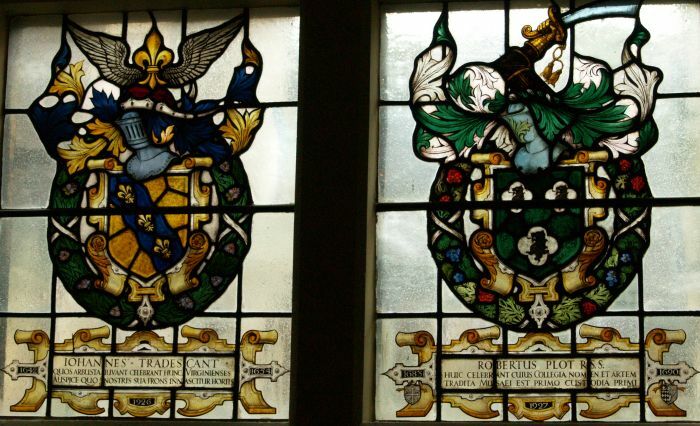 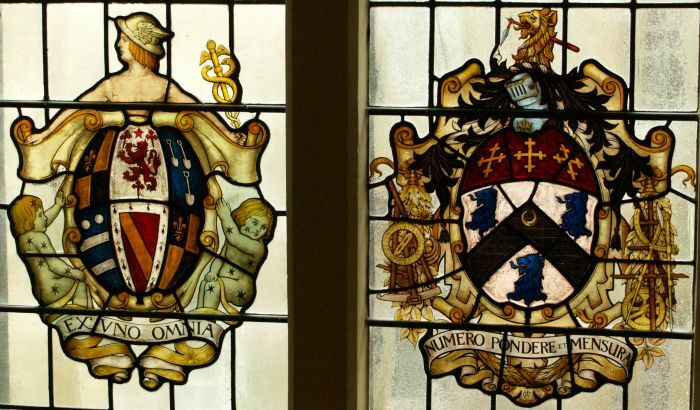 History of Science Museum, Oxford: Heraldic stained (painted) glass windows of the patrons of the original museum. 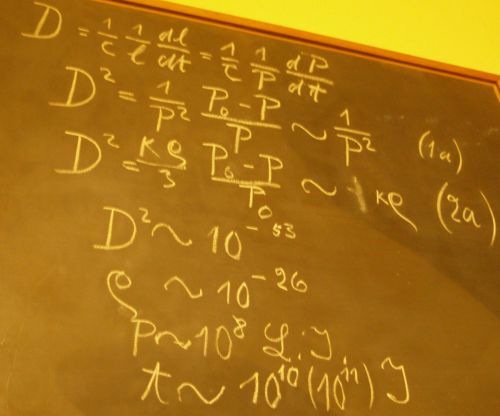 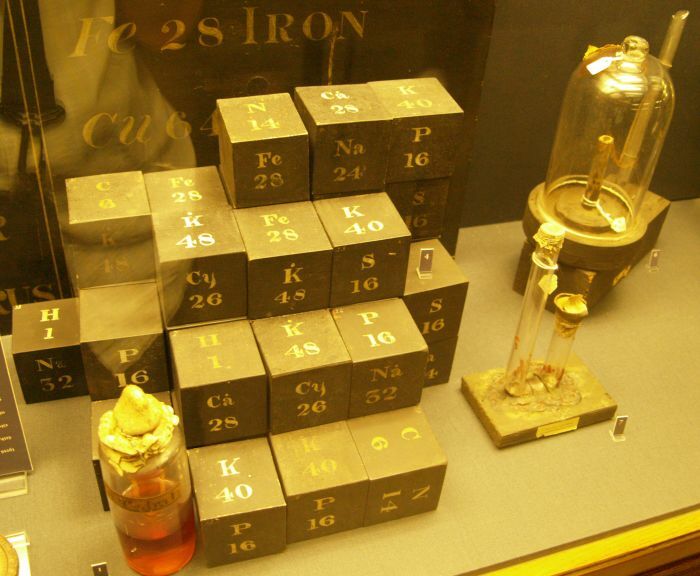 History of Science Museum, Oxford: Early ideas on the Periodic Table - chemical element symbols and atomic weights. 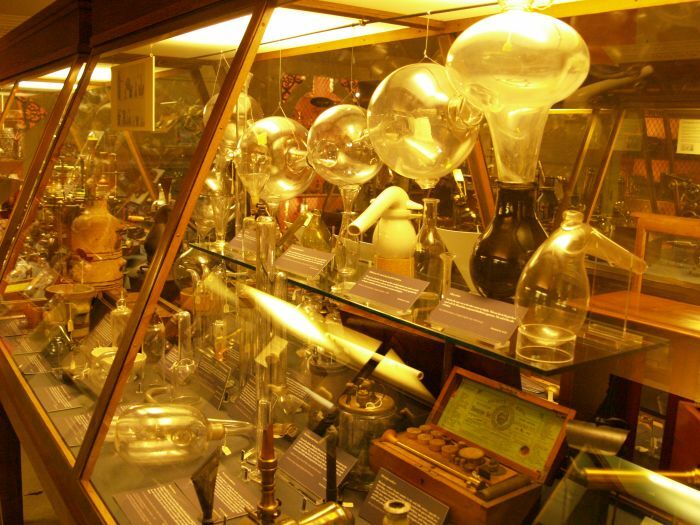 History of Science Museum, Oxford: Laboratory glassware from the history of chemistry. 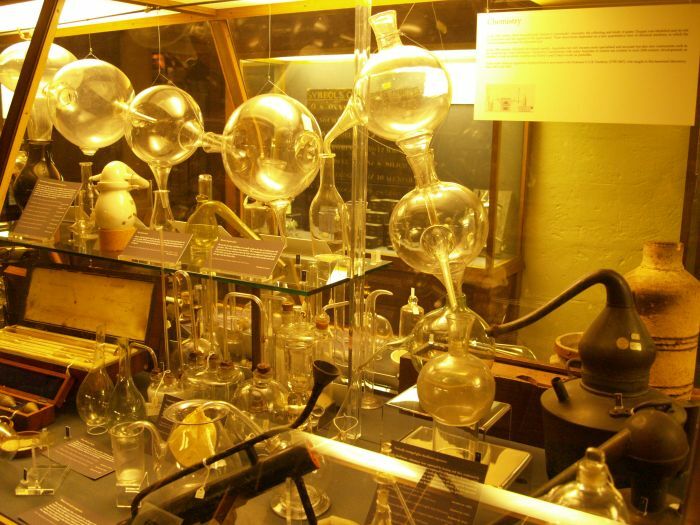 History of Science Museum, Oxford: A wonderful old still for distillation on the right. 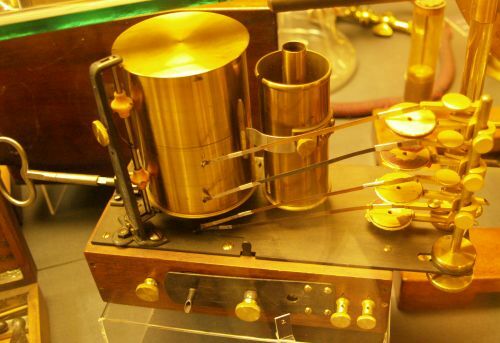 History of Science Museum, Oxford: An early form of ECG machine!